Presidents, Congresses, and courts are creating an elective despotism. How far have we distorted the Constitution that the Founders gave us, and how much does it matter? A phalanx of recent books warns that we have undermined our fundamental law so recklessly that Americans should worry that government of the people, by the people, and for the people really could perish from the earth. The tomes—Adam Freedman’s engaging The Naked Constitution, Mark R. Levin’s impassioned The Liberty Amendments, Richard A. Epstein’s masterful The Classical Liberal Constitution, and Philip K. Howard’s eloquent and levelheaded The Rule of Nobody (in order of publication)—look at the question from different angles and offer different fixes to it, but all agree that Americans need to take action right now. 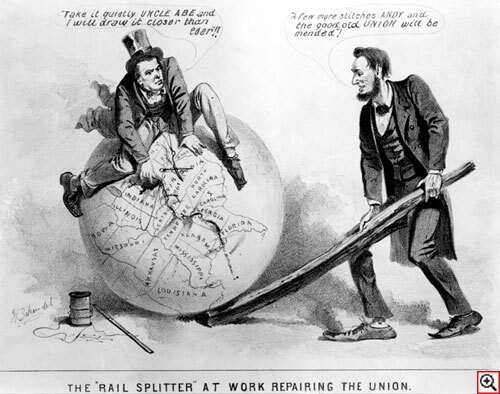 Several benighted Supreme Court rulings subverted the Fourteenth Amendment and crushed President Lincoln’s dream of binding up the nation’s Civil War wounds with malice toward none and charity for all. The Founding Fathers knew that you can’t have both. With the fulminating on the left about inequality—“Fighting inequality is the mission of our times,” as New York’s new mayor, Bill de Blasio, summed up the theme of his postelection powwow with President Barack Obama—it’s worth pausing to admire anew the very different, and very realistic, modesty underlying Thomas Jefferson’s deathless declaration that all men are created equal. We are equal, he went on to explain, in having the same God-given rights that no one can legitimately take away from us. But Jefferson well knew that one of those rights—to pursue our own happiness in our own way—would yield wildly different outcomes for individuals. Even this most radical of the Founding Fathers knew that the equality of rights on which American independence rests would necessarily lead to inequality of condition. Indeed, he believed that something like an aristocracy would arise—springing from talent and virtue, he ardently hoped, not from inherited wealth or status. In the greatest of the Federalist Papers, Number 10, James Madison explicitly pointed out the connection between liberty and inequality, and he explained why you can’t have the first without the second. Men formed governments, Madison believed (as did all the Founding Fathers), to safeguard rights that come from nature, not from government—rights to life, to liberty, and to the acquisition and ownership of property. Before we joined forces in society and chose an official cloaked with the authority to wield our collective power to restrain or punish violators of our natural rights, those rights were at constant risk of being trampled by someone stronger than we. Over time, though, those officials’ successors grew autocratic, and their governments overturned the very rights they were supposed to protect, creating a world as arbitrary as the inequality of the state of nature, in which the strongest took whatever he wanted, until someone still stronger came along. Americans have long treasured their right to worship as they choose. In the fall of 1621, some 50 of the Puritans who had left the Old World in search of religious freedom sat down in their tiny thatched hamlet of Plymouth with their Wampanoag neighbors to feast on turkey, venison, corn and cod. They also gave thanks for surviving their first terrible New England winter, whose cold and privation had carried off half their community. Continual waves of pilgrims fleeing religious persecution would follow them across the sea. Their sense of providential escape from foreign oppression stayed vividly alive in the American memory, and ultimately helped guide the Founding Fathers to make a revolution and fashion a new kind of government. Hard as it is to believe at this distance of time, British law once jailed non-Anglican Protestants like the Pilgrims for worshiping as they chose. The law also barred them from the universities and public office. 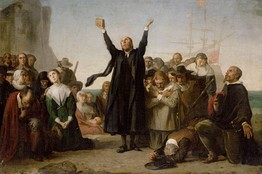 Thousands of Congregationalists, Baptists, Quakers and others left their native land, bringing to the New World their Dissenting tradition of self-government, individualism and personal responsibility. They had long run their own congregations, hired and fired their own ministers, read the Bible and freely judged its meaning for themselves. They believed that each individual has a direct relation to God independent of, and higher than, any worldly authority. Decades later, Chief Justice John Jay wrote a gripping account of how his grandfather, a French Protestant, had returned home from a trading voyage abroad in 1685 to find his family and neighbors gone, their church destroyed. While he had been away, Louis XIV of France revoked the Edict of Nantes, which had extended religious toleration and civil rights to Protestants for almost a century. Jay’s grandfather was lucky to be able to sneak aboard one of his ships and, like many others, sail away to freedom in the New World. That thirst for liberty led the Founders to revolt when they thought that George III was squeezing upon them the tyranny that had crushed their forebears. It also led them to hedge their new government with every safeguard to keep them free. To protect life, liberty and property from what they called the depravity of human nature—from man’s innate capacity for inhumanity to others—the Founders knew they needed some kind of government armed with power. But since the officials who wield such power have the same fallen human nature as everyone else, who can be sure that they won’t use it to oppress others? Who can guarantee that imperfect men wouldn’t turn even the democratic republic the Founders were creating into what Continental Congressman Richard Henry Lee called an elective despotism? The Constitution they wrote in the summer of 1787 explicitly limited government’s powers to what they deemed absolutely essential. They divided and subdivided power, and they made each branch of government a watchdog over the others. But they also recognized that constitutions are only what they called “parchment barriers,” easily breached if demagogues subvert the “spirit and letter” of the document. It’s that culture of liberty we nourish by recalling that our forebears came to these shores in search of freedom—and by giving thanks that they found it. Mr. Magnet is editor-at-large of the Manhattan Institute’s City Journal. His new book is “The Founders at Home: The Building of America, 1735-1817” (Norton).